The majesty of Africa kicks off in June as Walt Disney World celebrates the 20th anniversary of the Oscar-winning classic “The Lion King.’’ Global adoration has been demonstrated since the Animal Kingdom opened in 1998 as the resort’s largest theme park boasting a Kilamanjaro Safari, extinct animals, and related exhibits yet the 500-acre sprawl is a tribute to the continent many African-Americans may never experience due to the exorbitant cost of intercontinental travel. We all fell in love with young cub Simba’s coming of age story. Destined to be King, we rooted as he frolicked through jungles engaging mischief and innocently courting Nala. The “Circle of Life” narrative has since been popularized by Broadway and an endless demand of birthday party décor. 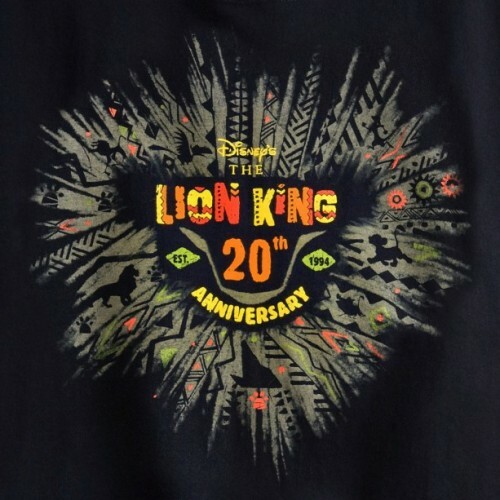 But highly lauded is “Festival of the Lion King,” Disney’s “most popular live show,” which has been on a six-month hiatus and reopens early June in the newly constructed Harambe Theatre. The colorful allure of spectacular costuming and puppetry, cultural songs, djembe drums, stilt walkers, and dance combine onstage for a 30-minute, day-time only presentation of an inspiration story. Admission is free with an Animal Kingdom park ticket, which is comparable in price to a New York City matinee. Disney by night takes on a “Tale and Taste” of its own beginning June 7 with the soulful, African-themed debut of Harambe Nights which will run for 10 consecutive Saturdays and end Aug. 19. 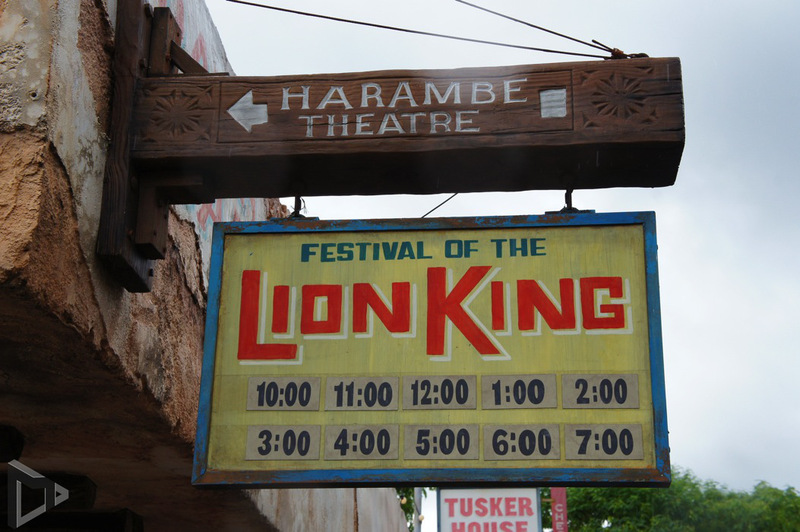 Harambe Nights is dubbed Disney’s first “hard-ticket” event ever held at Animal Kingdom. “The Lion King – Concert in the Wild” is scheduled to run 55 minutes with the accompaniment of a live orchestra, choir and a bevy of brilliant features. A 7 p.m. welcome reception will offer imported wine, beer, soft beverages and African cuisine appetizers followed by the 7:30 p.m. main event. 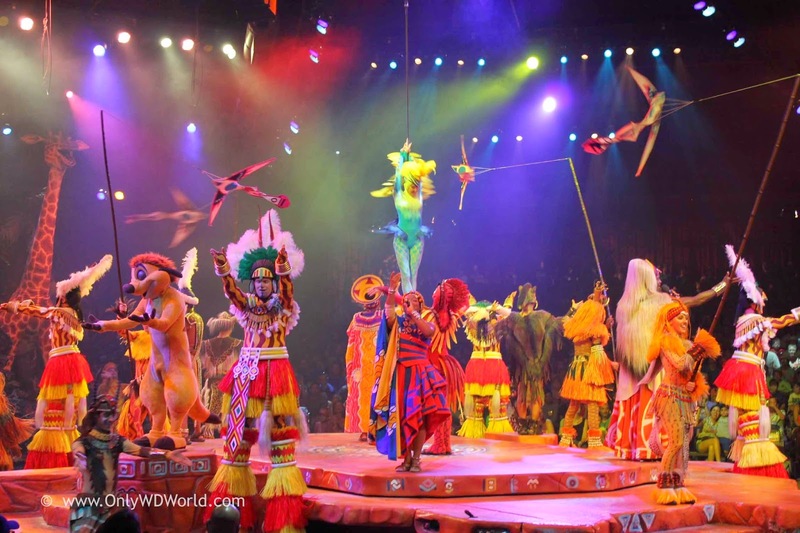 Renowned celebrities will narrate a “story-circle” emoting African folklore and remnants of the original Lion King tale. 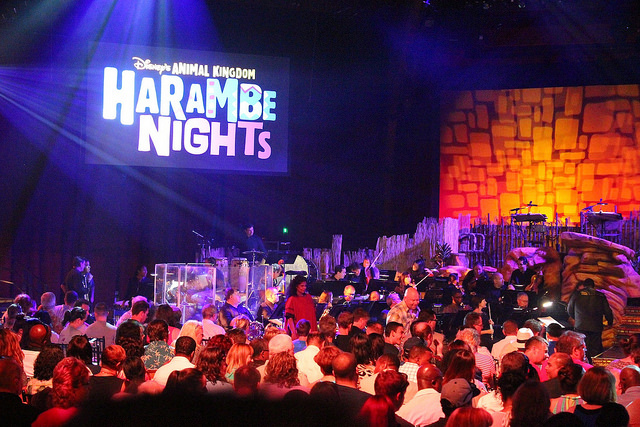 After the finale, Harambe raptness begins with a soul-stirring street party and multiple buffet stations for an all-inclusive price: adults $119 and children 3 to 9 year-old are $79; premium floor seating is $134 for adults and $94 for children. According to the Adventure Travel and Trade Association, “African-Americans spend an average of $40 billion dollars annually on travel.” If your last vacation was more than budgetary notion, Walt Disney World offers multi-generational price breaks for you, the kids, and big momma too. “Approximately 40 percent of U.S. domestic traveling parties visiting WDW are multiple households traveling together,” offered Disney sources and to address the growing travel trend, Disney’s Art of Animation Resort offers suites that sleep up to six. The Lion King Courtyard offers separate sleeping areas, multiple bathrooms, kitchenettes and family-friendly activities. The whole village can vacation for a discounted price of up to 35 percent if you book before June 6. For more information, visit disneyworld.com/harambenights or call 407-939-1319.